These visual thoughts are often created as a result of a conversation, and are available for use under a Creative Commons licence, so please remember to attribute! For stories of Thought to Thinkery check out the Visual Thinkery website. How little we know of the opportunities life has ahead of us. 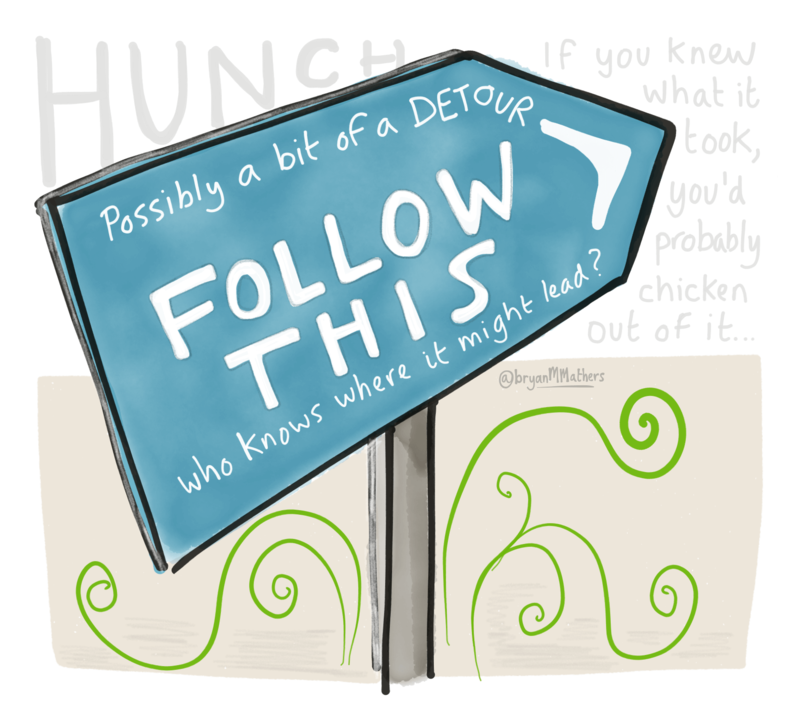 I often follow my hunch – that warm fuzzy feeling compelling me to go in a particular direction. I need to know some stuff – but not too much – otherwise I’d talk myself out of it. Check out our new community remixing platform. If you’d like to throw me a thought, or would like to commission an image, please get in touch below or if its easier, via twitter. Would you like a fresh dollop of visual thinkery for your inbox every week? Thank you! You will receive an email asking you to confirm your subscription. Check you inbox now.